Rosemary Foort sells by post and occasionally at book fairs. She has a wide and varied stock. 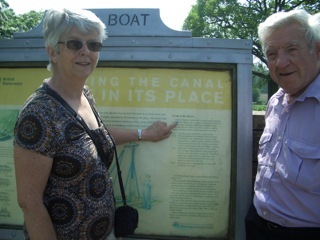 Here she is, with her late husband John who stood at Churchdown for many years, at the canal at Hatton – Rosemary’s father worked there when he left school and his name is on the plaque.